Casey Cook is a dynamic choral musician and educator, moving fluently between the fields of conducting, composition, and vocal performance. He is increasingly sought after as an adjudicator, clinician, and guest conductor. Cook holds a wide array of positions in the Washington, DC area. 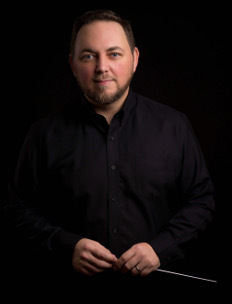 He serves as a musician-in-residence at American University and as the director of the American University Chorus, as the assistant conductor of the Cathedral Choral Society at Washington National Cathedral, and as the membership and operations associate at Chorus America. He was awarded a doctor of musical arts degree in choral conducting from the University of Arizona for his research efforts into the compositional completion of Gerald Finzi’s Requiem da Camera. He also holds a bachelor’s degree in music education from Miami University, and a master’s degree in choral conducting from the University of South Florida. He has studied conducting and composition with some of the true masters of the art, including Dale Warland, Peter Phillips, Robert Spano, Morten Lauridsen, Norman Dello Joio, Simon Carrington, Weston Noble, Robert Summer, Ethan Sperry, and Stephen Paulus.